Go pack your trunk and move in! 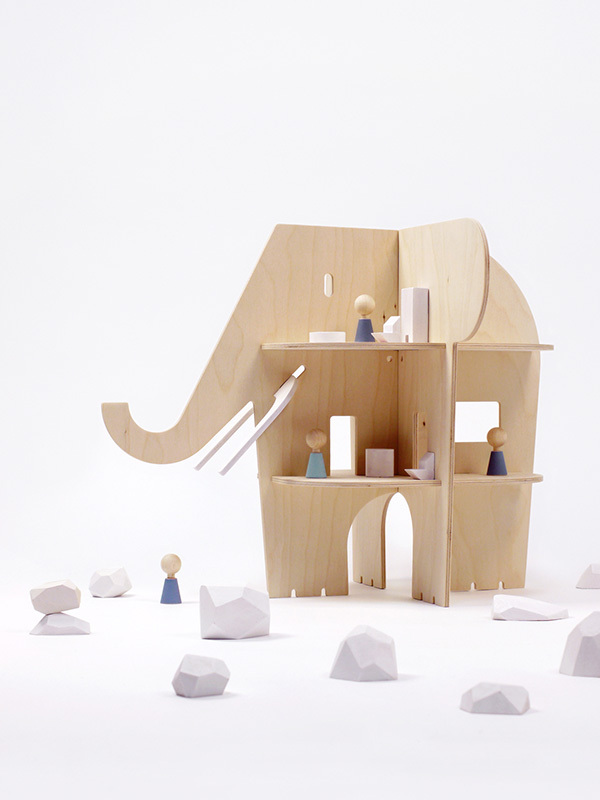 Ele Villa is a wildly unusual house for your imaginative stories as never before told and makes for a majestically fine looking center piece in your play room. 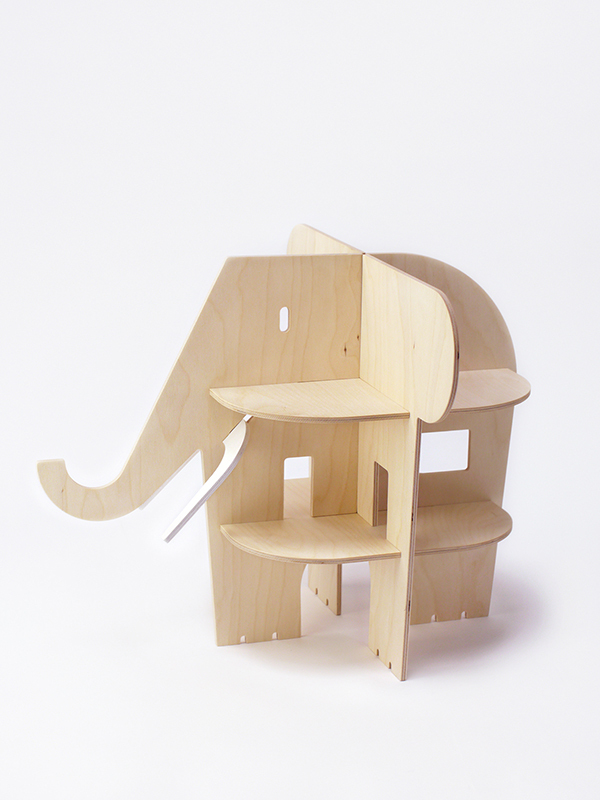 The tusks are hand-painted in white, non-toxic and water-based eco paint that’s fully certified to toy standards. Ele Villa has 2 floors and 8 rooms. Below the rooms you can park your toy car, put a little deck chair and play hide and seek around its 4 legs. Easy assembly instructions are included in the package and you can slot them together without any tools. 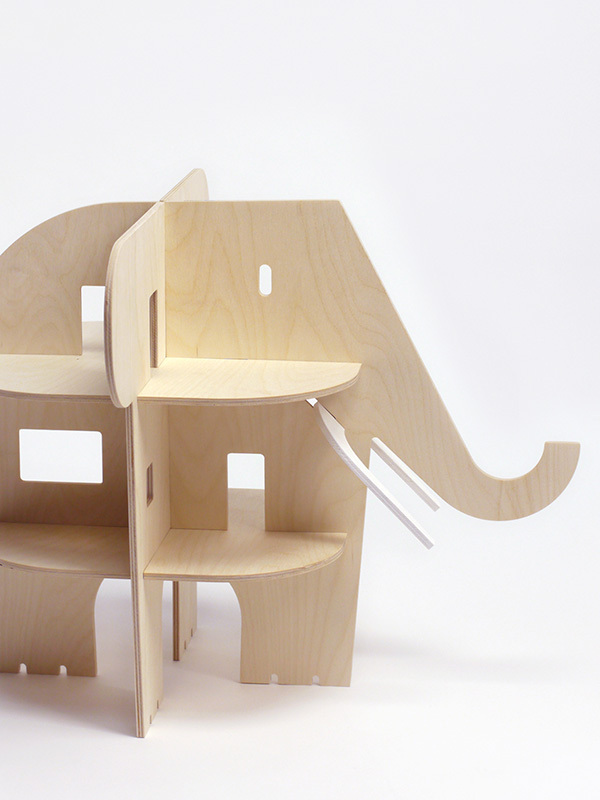 A dollhouse suitable for the most adventurous little minds!